Roasted bones. Marrow intact, with parsley and garlic on top. A handy marrow spoon, and toast on the side. I’ll admit it’s not for everyone. Roasted veal bones with the marrow. (Though it sounds much better in French — l’os à moelle.) In fact, when I ordered it last fall in Paris, the diplomatic waiter politely inquired if I knew what I was getting into. I had it in Paris. I first had it at Prune in NYC. And I’ve had it right here in Nashville at Margot Cafe & Bar. It’s not for everyday eating. It’s rich, fattening, full of protein. And delicious. 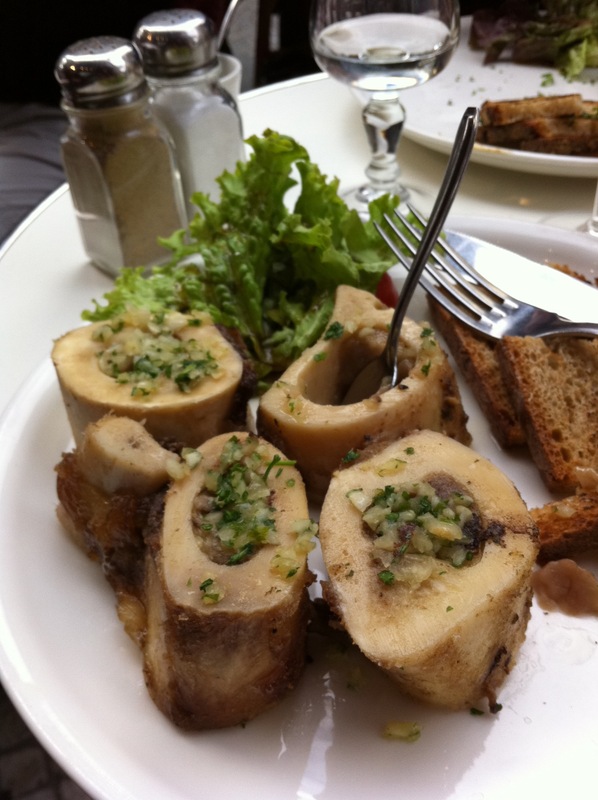 But if you subscribe to the very French “eat all the parts” philosophy of carnivorous consumption, bone marrow’s just the dish for you.